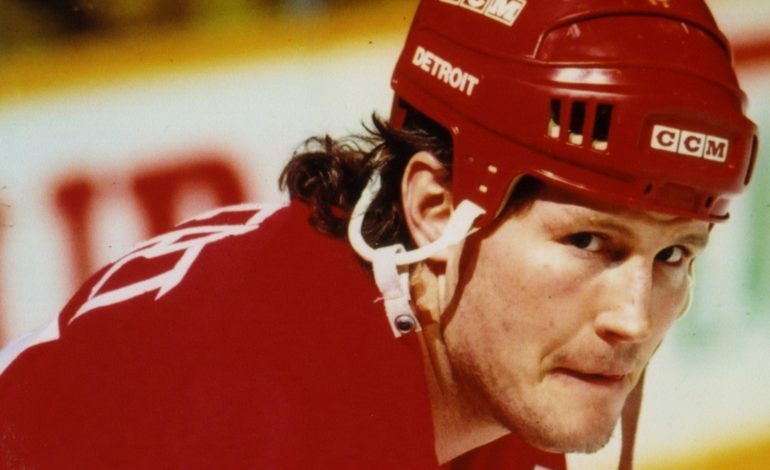 The upcoming documentary Tough Guy: The Bob Probert Story details the life of Canadian NHL ice hockey player Robert Probert. It specifically focuses on his fighter image on the ice, having physical altercations with other players during games. Throughout the trailer, he is portrayed by people that knew him as embodying the masculine image. He ended his career with 3,300 penalty minutes, which is the fourth-most for any player on the NHL list. He played for both the Detroit Red Wings and Chicago Blackhawk. The documentary is directed by Geordie Day, who produced Charles Manson: Final Words. Day has also worked on another documentary about NHL goaltender Clint Malarchuk in Goalie. Day captures the life of the infamous player through interviews with his family members, teammates, and rivals, and uses news reports and home movies that give a deeper insight into Probert’s character. Before his death in 2010, Probert was writing a memoir with Kristie Day. This project generated recordings of Day’s interviews with him. These clips were used throughout the documentary, featuring his perspective on his life as well. Dark Pictures will be distributing the film in a limited US release on April 12th. Watch the new promotional trailer below.